At the turn of the twentieth century, smallpox claimed the lives of two million people per year. By 1979, the disease had been eradicated and victory was declared across the globe. Yet the story of smallpox remains the exception, as today a host of deadly contagions, from polio to AIDS, continue to threaten human health around the world. Spanning three centuries, The End of Plagues weaves together the discovery of vaccination, the birth and growth of immunology, and the fight to eradicate the world's most feared diseases. 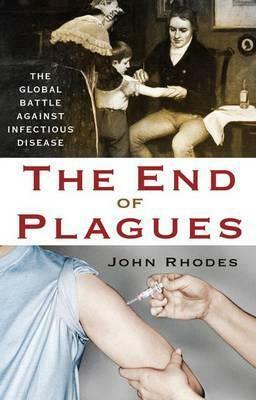 From Edward Jenner's discovery of vaccination in 1796, to the early nineteenth-century foundling voyages in which chains of orphans, vaccinated one by one, were sent to colonies around the globe, to the development of polio vaccines and the stockpiling of smallpox as a biological weapon in the Cold War, world-renown immunologist John Rhodes charts our fight against these plagues, and shows how vaccinations gave humanity the upper hand. Today, aid groups including the Bill and Melinda Gates Foundation and the World Health Organization have made the eradication of polio a priority, and Rhodes takes us behind the scenes to witness how soon we may be celebrating the eradication of polio. Illustrations note w. 8 b&w photographs on plates. John Rhodes is one of the world's leading immunologists, and has held research fellowships at the US National Institutes of Health and the University of Cambridge. From 2001 to 2007 he was director of strategy in immunology at GlaxoSmithKline, a leading multinational healthcare company. He is a fellow of the Royal College of Pathologists, has been published in Nature, Science, and the Lancet. He lives and works in Cambridge, UK.